Let's put WESCO International WCC stock into this equation and find out if it is a good choice for value-oriented investors right now, or if investors subscribing to this methodology should look elsewhere for top picks: PE Ratio A key metric that value investors always look at is the Price to Earnings Ratio, or PE for short. This shows us how much investors are willing to pay for each dollar of earnings in a given stock, and is easily one of the most popular financial ratios in the world. Do You Like Melcor Developments Ltd. (TSE:MRD) At This P/E Ratio? Do You Know What Steve Leung Design Group Limited's (HKG:2262) P/E Ratio Means? Wall Street expects a year-over-year increase in earnings on higher revenues when Apollo Commerical Finance (ARI) reports results for the quarter ended March 2019. The stock might move higher if these key numbers top expectations in the upcoming earnings report, which is expected to be released on April 24. While the sustainability of the immediate price change and future earnings expectations will mostly depend on management's discussion of business conditions on the earnings call, it's worth handicapping the probability of a positive EPS surprise. Japan's top automaker Toyota, auto parts maker Denso and internet company SoftBank's investment fund are investing $1 billion in car-sharing Uber's technology unit. The Japanese companies said Friday that Toyota Motor Corp. and Denso Corp. will together invest $667 million and SoftBank Corp.'s Vision Fund will contribute $333 million in Uber Technologies Inc.'s new entity, Advanced Technologies Group, or Uber ATG, which will try to develop and commercialize automated ridesharing services. While the historical EPS growth rate for SS&C Technologies is 19.8%, investors should actually focus on the projected growth. The company's EPS is expected to grow 30.6% this year, crushing the industry average, which calls for EPS growth of 9.3%. Cash Flow Growth Cash is the lifeblood of any business, but higher-than-average cash flow growth is more beneficial and important for growth-oriented companies than for mature companies. In an interview with Bloomberg, Stephen Schwarzman, CEO of Blackstone, the world's largest private equity firm, said it's quite something. In the first quarter of 2019, Blackstone raised $43 billion, bringing its inflows over the previous 12 month to a total of $126 billion. This “remarkable money gathering,” Schwarzman said, was “like an out-of-body experience.” So, maybe, it's more like seeing manna floating down from heaven, or stumbling into a magic money tree in full bloom. UnitedHealth (NYSE:UNH) delivered a perfect score Tuesday releasing Q1 2019 earnings that ticked all the boxes. If you're a shareholder of UnitedHealth or other healthcare stocks selling healthcare plans, you've got to be worried that Bernie Sanders or one of the other Democratic candidates proposing a universal health care plan gets into office. Howard Schultz, who's against the proposal, recently had this to say about the idea of “Medicare-for-All”. 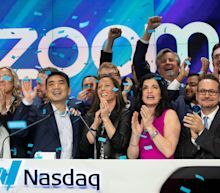 Zoom Video Communications, Inc., also known as Zoom, went public today on the Nasdaq stock exchange. Investors rewarded Zoom for that track record in the company's first day of trading. Zoom Video Communications, which trades under the ticker “ZM,” wasn't the only company to benefit from the IPO. How much do I need to retire? To be financially ready to retire by age 67, you should aim to have 10 times your final salary saved at retirement, says Meghan Murphy, vice president of Fidelity Investments. This rule of thumb, which Fidelity developed, takes into account all sorts of variables (from savings rate, wage growth, volatility and more) and is applicable for investors with a broad range of income. 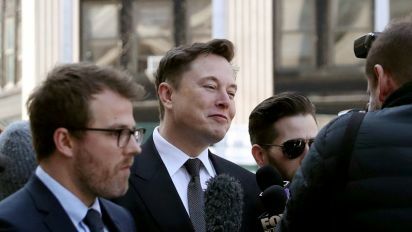 Zoom's (ZM) highly-anticipated public market debut began on a high, with the stock jumping 72% on its first day of trading. The company priced the initial public offering (IPO) at $36 per share and jumped to $65 as trading began on Thursday before settling at $62/share at market close. The company describes itself as “the leader in modern enterprise video communications, with an easy, reliable cloud platform for video and audio conferencing, collaboration, chat, and webinars across mobile devices, desktops, telephones, and room systems. Current yield: 8.6% Another pipeline stock worth watching for income, DCP differs from some of the other stocks on this list because of consistency in payouts. Many of these transportation and storage names have a hard link between their performance and their dividends, which can mean payouts fluctuate quarter to quarter. However, DCP paid 78 cents per share every three months since early 2015. This change was narrower than the S&P 500's 0.23% loss on the day. Heading into today, shares of the cloud networking company had gained 11.3% over the past month, outpacing the Computer and Technology sector's gain of 4.13% and the S&P 500's gain of 3.16% in that time. Investors will be hoping for strength from ANET as it approaches its next earnings release, which is expected to be May 2, 2019. Kraft Heinz (NYSE:KHC) CEO Bernardo Hees, who gained notoriety on Wall Street as a cost-cutter, will now have to figure out how to invest money into the beleaguered packaged food company if its long-suffering shareholders ever hope to get any relief. Unfortunately, Hees won't be able to just write a check to make KHC's problems go away. Like other packaged food companies, KHC has been hurt by the rising consumer demand for “fresh and healthy” ingredients at the expense of processed food. Top ETFs for Long-Term Investors If you're a long-term investor planning your portfolio for 2019, here are some ETF best bets: (All year-to-date (YTD) performance figures are based on fiscal year 2019. Funds were selected based on a combination of performance over time and assets under management (AUM). All figures were current as of Feb. 3, 2019. The end of the litigation between Qualcomm (NASDAQ:QCOM) and Apple (NASDAQ:AAPL) sparked a fire for both of those stocks and the semiconductor sector as a whole. The renewed bullishness for semiconductor stocks could continue through to the rest of the year for one good reason — Apple and Qualcomm agreeing to end the litigation set the stage for friendlier times among technology firms ahead. Instead of fighting for high IP royalty rates, semiconductor stocks could forge multiyear supply deals with its customers. SunCoke Energy (SXC) is expected to deliver a year-over-year increase in earnings on higher revenues when it reports results for the quarter ended March 2019. The earnings report, which is expected to be released on April 24, 2019, might help the stock move higher if these key numbers are better than expectations. While management's discussion of business conditions on the earnings call will mostly determine the sustainability of the immediate price change and future earnings expectations, it's worth having a handicapping insight into the odds of a positive EPS surprise. 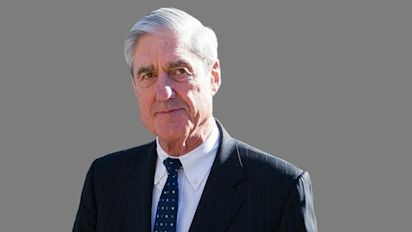 As of 2017, the company employed 130,000 people, reported sales of $76.5 billion and had a market capitalization of $373 billion. The company is a component of the Dow Jones Industrial Average. Roche Founded in Switzerland in 1896, Roche (NASDAQ: ROG.VX) calls itself the largest biotech company in the world, with 17 biopharmaceuticals on the market. And when there are plenty of sectors — and companies — that will benefit from the slower, steady growth ahead, there's no point in holding these stocks and hoping for upside. Risky Tech Stocks: CoreLogic (CLGX) CoreLogic Inc (NASDAQ:CLGX) is a data firm that specializes in analytics for the real estate business. It has 99.9% of the property records for U.S. housing, covering over 3,100 counties. Dividend Stocks Perfect for Retirees Overall, now seems like a good time to add some stability to the portfolio through dividend stocks. With that in mind, here's a list of seven healthy dividend stocks to buy in 2019. AT&T (T) Telecom giant AT&T (NYSE:T) has been burdened by a huge and growing debt load, and slowing operations in its core wire-line businesses. NASDAQ:ARNA) Arena Pharmaceuticals is a biotech company involved in the manufacturing of medical marijuana drugs. Research and development around Arena's APD371 is the primary focus of the firm's cannabis biotech initiatives. Atlantic Alliance Partnership Corp. The market expects National Oilwell Varco (NOV) to deliver a year-over-year increase in earnings on higher revenues when it reports results for the quarter ended March 2019. The earnings report, which is expected to be released on April 25, 2019, might help the stock move higher if these key numbers are better than expectations. While the sustainability of the immediate price change and future earnings expectations will mostly depend on management's discussion of business conditions on the earnings call, it's worth handicapping the probability of a positive EPS surprise. That has been evident in this week's trading in healthcare stocks. The Healthcare Select SPDR has plummeted this week, trading today at $85.68 after reaching a level of $92 per share as recently as April 5th. The plunge in healthcare stocks can be attributed to three words uttered by UnitedHealth Group CEO David Wichmann on his company's earnings conference call Tuesday: "Medicare For All."